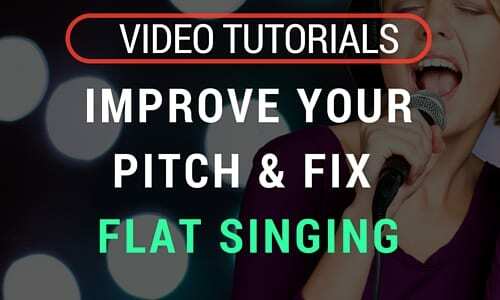 July 7, 2016 /0 Comments/in Singing, TakeLessons Teachers /by Suzy S.
Singing on pitch take practice — and if you’re struggling with singing flat or singing sharp, you’re not alone! Even some famous singers have trouble hitting the notes perfectly at all times. Fortunately, there are some great ear training exercises you can do to get better at recognizing when you’re off. Then, use the right vocal techniques to correct yourself. Singing flat means you are singing below the correct pitch. Use a tuner or a piano to check yourself! Try sliding up to find a note until your pitch matches the correct note. Having trouble? You’re not alone! Keep practicing intervals and individual notes in the song you’re working on. Want to learn more? Check out our live, online singing classes taught by professional singing teachers, or sign up for private voice lessons! Video: The Importance of a Vocal Cool-Down | Singing Tips Are You Taking the Right Approach to Learning Music?